Early this week, I was flipping through Yoga Journal and found an article from the magazine’s archives, written by Keith Kachtick, about impermanence. It was written in 2008; in it, Kachtick recalls being on a trip to Miami, shell-shocked by the realization that his marriage was ending. Ambling through South Beach by himself, he stumbled on an exhibition of Tibetan art and culture that featured six Buddhist lamas completing a sand mandala in public. Though it sounds paradoxical, sunyata is the core of what yoga and Buddhism generally affirm is a coreless reality. To fully understand yoga and Buddhism, you must not only recognize but also be OK with the fact that everything—every thing—is a sandcastle, and that material stuff, any compounded phenomenon, sooner or later falls apart and washes away with the tide. This magazine is a sandcastle. My marriage is a sandcastle. So too are the yoga studio I own, the bike that gets me there, the century-old pecan tree in my backyard—even my achy but faithful body. I find this a sobering and empowering truth, and it leads to some compelling questions: Who am I really? What am I? And what, if anything, actually dies? In Miami I began to more fully appreciate that moving toward enlightenment means, in large part, knowing that the wisest way to hold something (or someone) is with an open palm…[t]he challenge—and it’s a challenge that can separate enlightened behavior from unenlightened—is to love the sandcastle no less for its transitory nature. To treat each precious moment as if it’s the most important thing in the universe, while also knowing that it’s no more important than the moment that comes next. Kachtick’s words reminded me of a very old blog post, in which I wondered aloud about how to reconcile the idea of aparigraha, or non-grasping, with the urge to love and hold things passionately. A reader commented that she often thinks about this with the image of the Buddha’s hands in her mind, holding lightly. It’s the same idea as Kachtick’s open palm. I think I’ve become more adept at holding lightly the things I don’t need or want around in my life: perfectionism, rigid goals and objectives, resentment, undigested anger or repressed feelings. But I still tend to cling to the things I want and love, fearing what will happen if and when I let go. In the last few months especially, I’ve been tasting happiness and connection in ways I haven’t for a long time. I’ve reclaimed parts of myself that have been dormant in recent years, including my capacity for laughter, my openness and desire to give and receive love, my self-assurance. I don’t question why these qualities went quiet for a while; I know that there are other, much more vulnerable parts of my personhood that needed to be given space. But it’s nice to feel as though I’m reintegrating the pieces. The challenge I’m coming up against is, of course, my tendency to scheme about how I can sustain the happiness that’s growing. The memory of last year’s depression and anxiety is so close, and so vivid; I’m in a very different place now, but a part of me fears that it’s only a matter of time before I revisit that landscape. I find it helpful to recognize that I’ve put supports into place that will help me through future trying times: steady therapy, a newfound capacity to ask for help, a work-life balance that finally allows me to avoid burnout. But it’s equally, if not more important to exercise some faith in life, to trust that I’m where I need to be. I’ve never really been able to do this; I’ve always problematized suffering and greeted happiness with equal parts gratitude and fear of loss. Kachtick’s words remind me to embrace, or at least accept what lies in my palm, whether it’s painful or joyous, and be ready to let it pass, knowing that I’ll be lightly holding other things in good time. 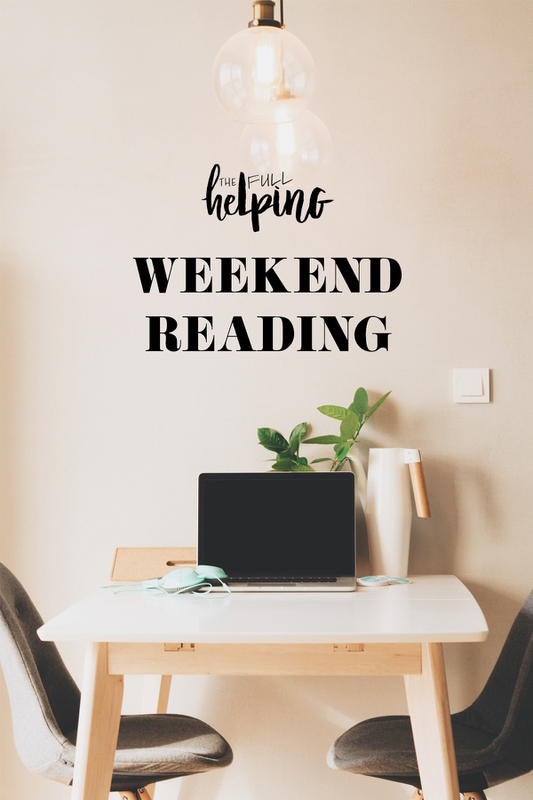 I hope the article, which is one of my reads this week, might give you some feelings of contentment or peace, especially as we enter this busy (and sometimes overwhelming) time of year. And I hope you enjoy the recipe links, as always! 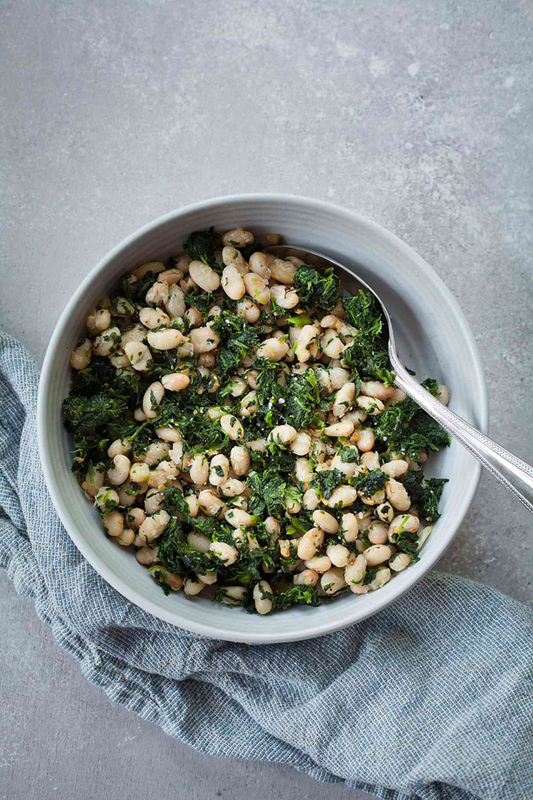 I can’t think of an easier or more healthy, all-purpose side than this bowl of spinach and white beans. 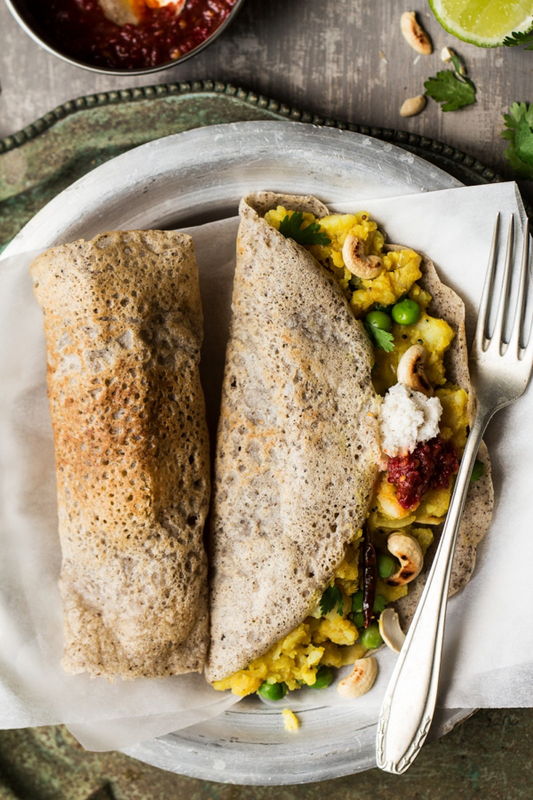 How beautiful is Ania’s masala dosa? Any one of the components (wrap, filling, chutney) looks like a keeper. 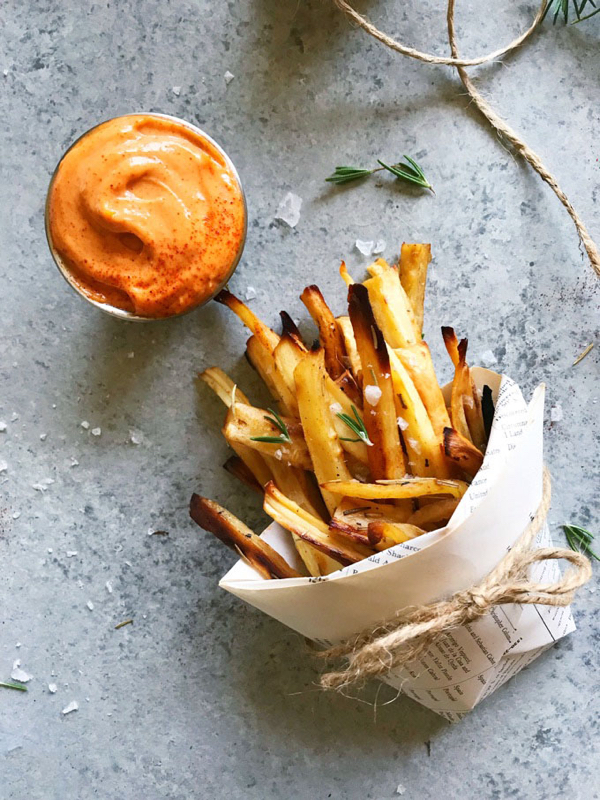 Shannon’s parsnip fries would be a cool, nontraditional appetizer or finger food for any Thanksgiving gathering! I’m loving the sriracha-spiked dipping sauce. 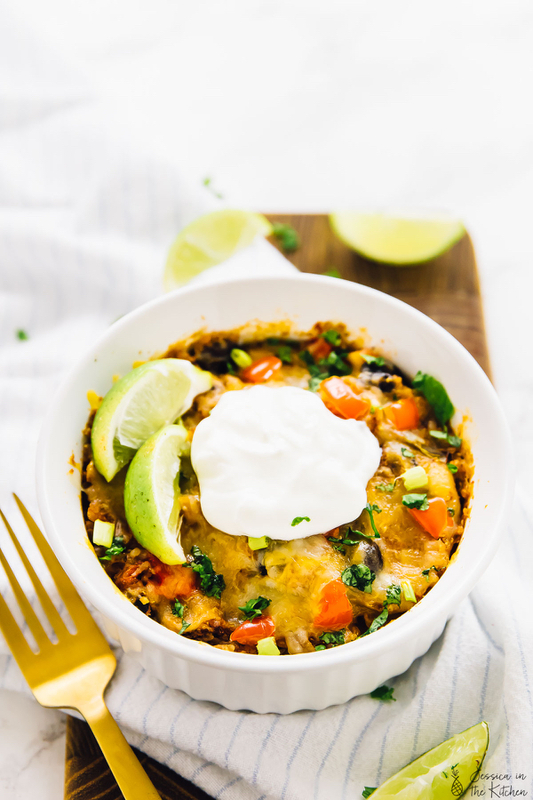 At this time of year my slow cooker starts getting a lot more use, and I’m bookmarking Jessica’s awesome, hearty, nutritious quinoa enchilada casserole as my next recipe. 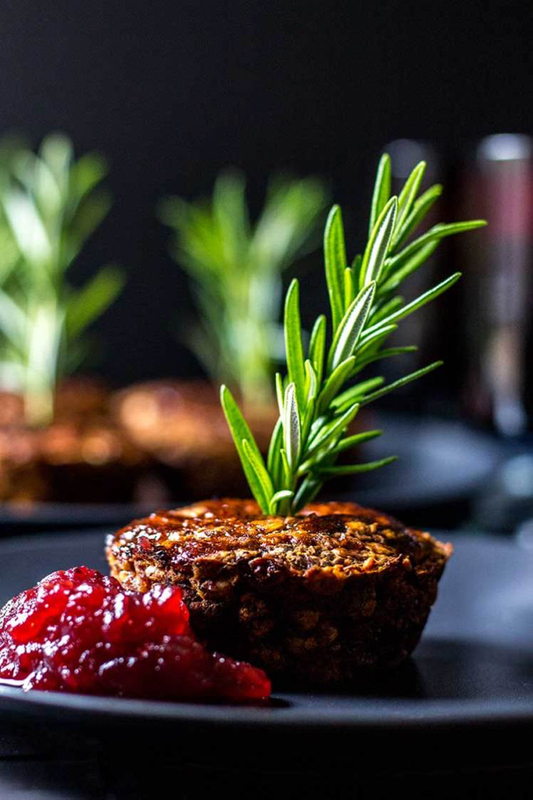 An adorably single-serve-sized vegan lentil mushroom loaf! 1. First, Keith Kachtick on how to practice sunyata. 2. I really loved this article on how vaudeville performers are helping hospital patients with dementia. 3. Good information on why it’s difficult for doctors to get the education and information they need about transgender health issues. 4. A pretty fascinating article on how much the benefits of angioplasty are mitigated by the placebo effect. 5. The New York Times reports that “the era of biomedical research on chimpanzees in the United States is effectively over.” As the article makes clear, moving chimps to sanctuaries will take a long time, but there’s been a massive shift in thinking about the ethics of experimentation on these animals, and the detailed coverage alone is, I think, a step forward. I hope you enjoy the picks this week, and I’ll be back in a couple days with an easy, Thanksgiving-friendly soup recipe for you! Happy Sunday. I don’t know that you can ever really lose the fear of going back into depression after experiencing it. I just stopped taking antidepressants and this is the first time I’ve not been depressed within my memory – I’m really happy about it, but I have a kernel of fear and doubt at the back of my mind at all times. Hopefully it’ll fade with time. I’m so happy to hear that you’re doing better, Gena, and experiencing that lightness. Keep embracing it. Thank you for this beautiful post, Gena. It really resonated with me. 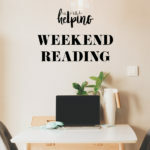 What a beautiful bounty of Weekend Reading–I love how you wove the Yoga Journal article and its kernels of wisdom into the frame of your own experience. I just finished the article, which is beautfiully done, and I have to say that the part I liked best and inwardly clapped my hands in delight about is the serendipity with which hungry, despondent, barefoot pilgrim of the author happens to stumble upon the monks making the sand mandala. Yes, these practices help us know impermanence is permanents and all things must pass, but what’s so at the heart of our creative universe is that we can never pin down exactly where and when we will be led into epiphany, beauty, surrender, connection or wonder that will help us through whatever we cling to. It always comes, always and I love how the article is predicated on that.